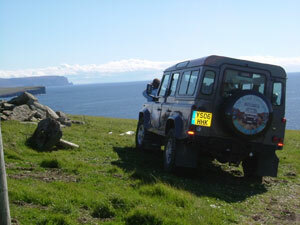 Pierce the tourist dressage with this half day tour and see Orkney in its raw naked natural state. Go off the beaten track to views which are not readily accessible on the tourist trail and visit the mysterious Standing Stones of Stenness and the Ring of Brodgar. The views, the atmosphere and big sky often provide an ever changing panoply from rapid shifts in patterns of light, sun and weather on small islands where the Atlantic Ocean meets the North Sea. Experience peace, tranquillity and the magical Neolithic rings. This tour is ideal for seeing a mix of archaeology and scenery and hill top views. At 9am we start our exploration, heading to our first view point we take you off road and over peat tracks. The views from here are exhilarating, looking down onto the bay of Firth where researchers have found mysterious submerged stone structures. Moving on we head to the heart of Neolithic Orkney passing the 5000 year old Maeshowe tomb we first visit the Ring of Brodgar. 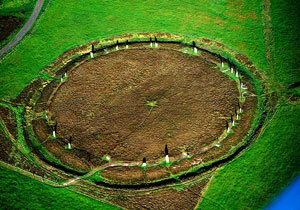 Thought to date from around 2500BC it is the third largest and best preserved stone circle in Britain. Many visitors feel compelled to touch them or place an ear to them; mystery still surrounds the actual purpose of the stones. The Standing Stones of Stenness is our next stop, dating from around 3100BC making the stones one of the earliest stone circles in Britain. 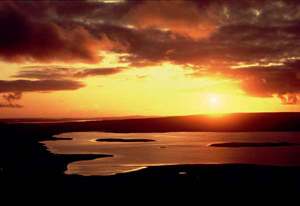 Next we head to another viewpoint, from here you can see views overlooking Scapa Flow and across to the island of Hoy famous for their roles over the centuries in travel trade and conflict. It is also possible to see the mainland of Scotland from this viewpoint. On our way back you can relax as we take a leisurely drive to Kirkwall. A half day tour with a difference. Breathtakingly beautiful, a wonderful experience,nature, Neolithic, peace and tranquillity.